Ignoring Unwanted Behaviour – Does It Work? This continues to be an area of confusion for many owners, and no wonder, for the answer can be yes OR no! It depends on the situation. Let’s use the example of a dog who jumps all over you when you get home or when you go outside. My clients often tell me that the advice that were told or have been following is to ignore the behaviour ie “turn your back” or “turn away” and then praise the dog when they sat down or stopped doing it. I then ask if it has worked. Occasionally clients say yes it worked exactly as they had hoped. Usually however, the responses range from “no it’s actually worse” or “no, then he just jumps on my back”, to “it’s getting better, a few months ago it was much worse” I’m constantly baffled by this. What trainer would expect a solution to a simple issue to take months? A complex behaviour sure, but stuff like “don’t jump on me” (or “don’t bark at me for attention” or “don’t stare at me for food”) is as basic as you get. Dogs are smart. They learn fast. It shouldn’t take a dog months to accept that they aren’t allowed to jump on you. So what’s happening? Let’s look at the basic psychology of motivation. Real motivation can only come from within, so our goal is to help the dog choose differently based on the result of his behaviour. Your dog has to ‘own’ the decision and have decided it’s the better option for HIM. Here’s another example. If a child steals cookies and the adult actively ignores him, is this going to persuade him to stop? No way. He’s getting what he wants! However, if he has a tantrum in order to get the cookies and the adult ignores him, yes, it’s likely to work. He’ll quickly work it out it doesn’t result in cookies and change his approach. What about waiting for the dog to stop the unwanted behaviour and THEN rewarding them? Again, this is unrealistic a large part of the time. If a child draws all over your wall for fun, and you ignore her, will she stop? Not likely! What about waiting for her to stop and then giving her a lolly when she does? Do you see how this can actually make things worse or even encourage the unwanted behaviour? It won’t take long for her to work out that if she draws on the wall, she’ll get a lolly. (Please keep in mind that in order for you to actively modify a behaviour, you need to be able to provide your dog with feedback immediately so they understand ( I call it ‘link and learn’). A dog who is displaying unwanted behaviour in the backyard while you’re out is effectively being ignored, and usually rewarded as well, as it will be alleviating the dog’s stress. Unfortunately, you can’t give negative feedback on your return as it’s too late. No link therefore no learn). A dog is naturally concerned with the outcome of a situation ie whether the result is a positive or negative experience for them. We first need to do our best to work out WHY the behaviour is occurring in the first place. If your dog jumps up on you purely from exuberance or to get your attention, and you ignore her, it may work, as the reason she was doing it was to get attention and it didn’t work. However if your dog jumps on you to test whether she can trash your personal space and confirm she is a stronger energy than you, and you ignore her, in her mind she has been successful and it makes sense she’ll keep doing it. Seems logical to me! Ironically, if you also react with frustration such as “stop it! urghhhh!! !” or retreat (turning away or stepping back) when your dog jumps up, it will encourage them. It’s still not negative for your dog! It’s probably negative for you, but that’s not going to motivate your dog to stop. Swap it over! Jumping on you needs to lose its appeal, and fast. Stay calm and centred (stay out of it emotionally and act as if you really don’t care one way or another) and PHYSICALLY set it up to be negative for your dog. Think along the lines of touching something hot, or leaning on a cactus. I often use a spray bottle or a flick of a tea towel but you can get as creative as you like. That’s it! All you need to do is give your dog some negative feedback and let them work it out for themselves. It might be little or it might be a lot, depending on your dog. Remember, the definition of insanity is doing the same thing over and over and expecting a different result! If you have worked out by now that ignoring your dog’s behaviour isn’t working for you, the great news is that you can turn it around fairly quickly. Dogs naturally live in the moment, so they are able to let go and move on much faster than us and will quickly respond to the new feedback you are giving. A few days is all it should take for the new message to sink in, and it should continue as long as you continue to give the new feedback. If you revert to your old behaviour, in most cases, so will your dog. The point is, there’s no need to be waiting or struggling for months to change most simple everyday behaviours. There’s way more to owning and enjoying a dog than nagging and going around in circles hoping things will change. Educate and empower yourself with the best knowledge you can afford, and if you hit hurdles, get professional help and move on. 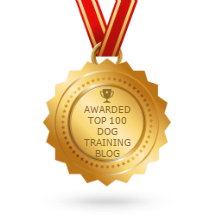 If you feel you and your dog would benefit from in-home dog training, Get in touch with SitDropStay in your area.